This topic will highlight ways to view the mobile version on your computer by using an internet browser. It's something important to learn if you want to inspect the elements on the mobile theme, or preview changes you've made to the templates / CSS. You'll find a list below which contains a walkthrough on how to view to mobile version using a specific browser. 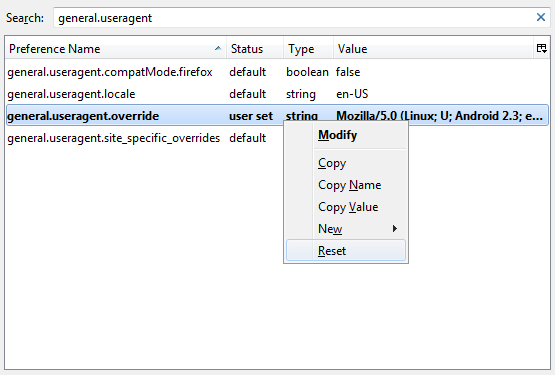 Firefox currently lacks an easy way to spoof your useragent, but it's still possible by editing the config. First enter the following into your address bar and click enter. It may ask you to confirm, if so, click "ok". 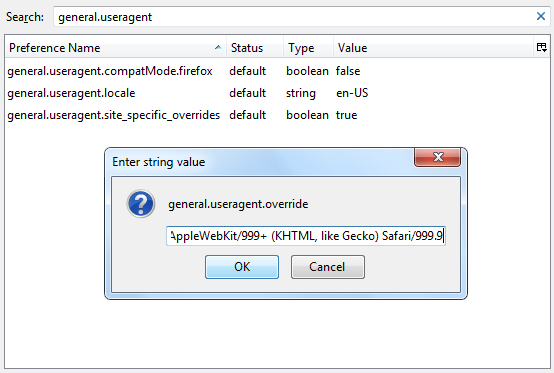 Now search general.useragent, and in the blank area below right click, go to new, and choose string. In the first prompt input the following and click OK. 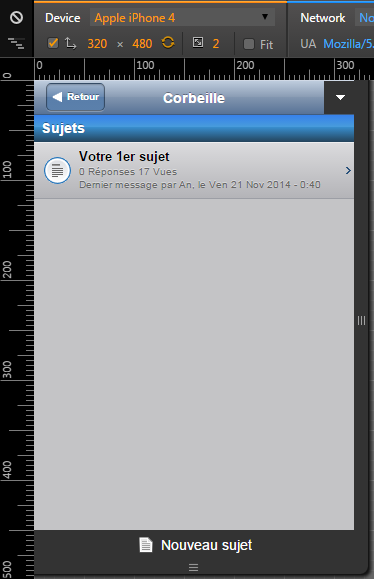 In the second prompt input a new useragent. The one I provide below is for a mobile browser, you can find more here. Click OK when you're done. Go to a Forumotion forum and you should now see the mobile version. 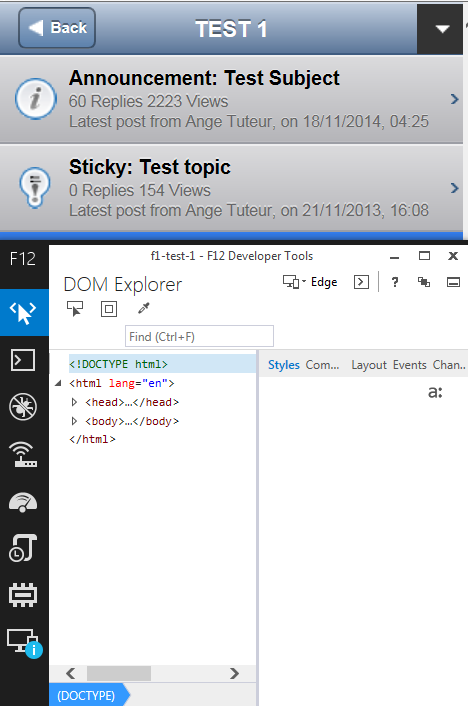 You can use your devtools (F12), or wrench from the omnibox to inspect the elements and make modifications. 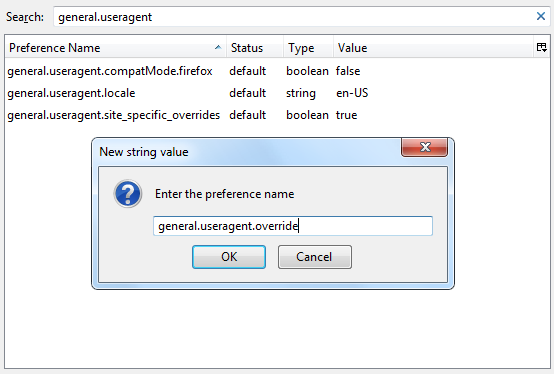 To revert back to your normal useragent follow the same steps, except right click on general.useragent.override and click reset. 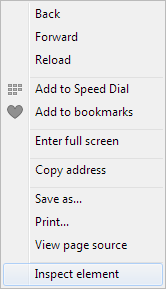 Chrome is quite simple, all you need to do is click the phone to toggle device mode. Go to Device and choose a mobile device from the drop down such as the iPhone. Once selected, reload the page and you should now see the mobile version. 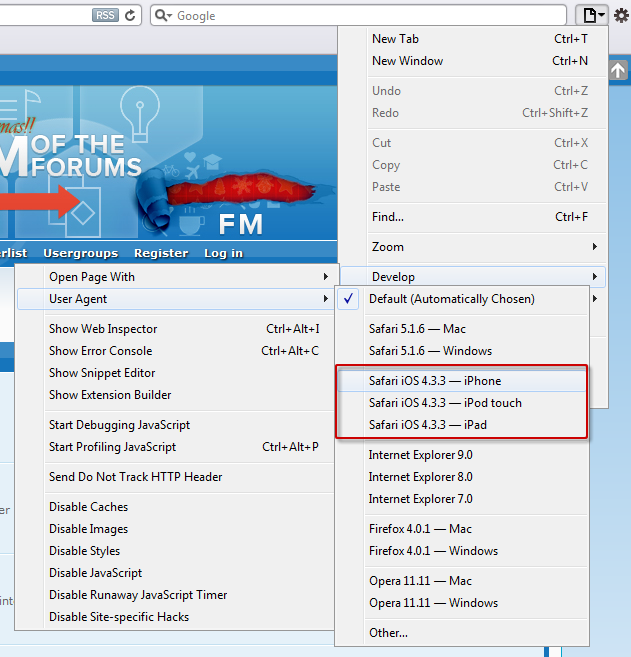 To revert back to your default useragent, simply toggle device mode from the tools and reload the page. 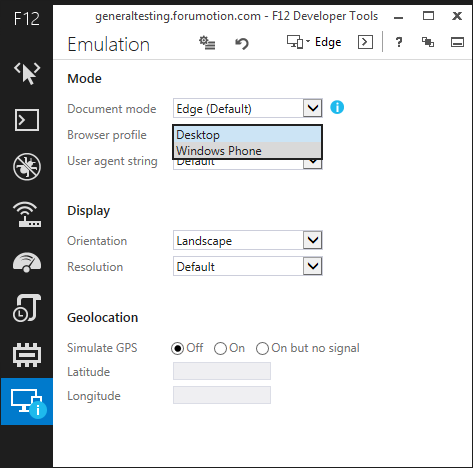 Go to Emulation, and under browser profile choose Windows Phone. After that you should be met with the mobile version. Note that you may need to change the resolution, because it can be a bit buggy. To exit the emulation either change back to desktop, or close the devtools. 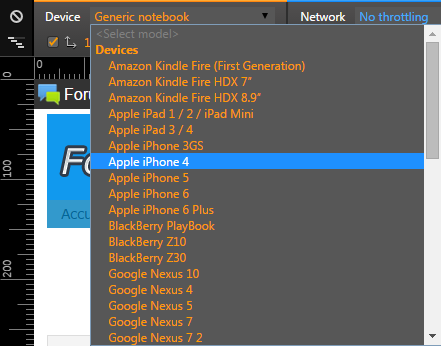 Next go to Page > Develop > User Agent and pick a mobile device from the selection, such as the iPhone. After that, the page will reload to display the mobile version. To revert back to your default User Agent, follow the previous steps, but choose "Default" from the useragent selection. Opera is pretty much the same as Chrome. 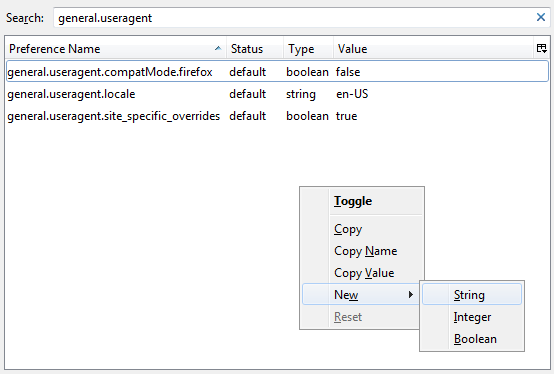 To change your useragent, right click and choose inspect element from the context menu. 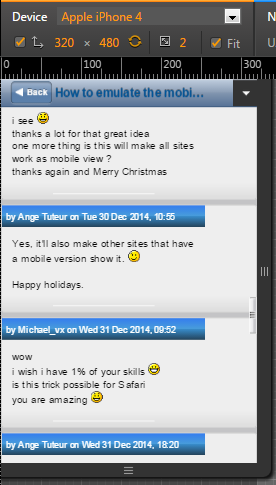 After this, you will see the mobile version of your website. 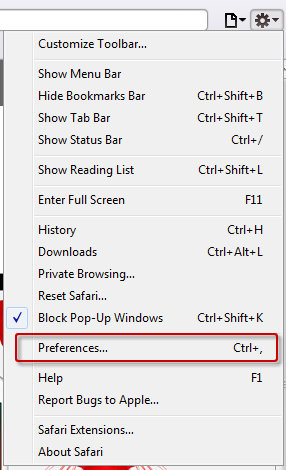 To undo these changes, simply toggle device mode or close the devtools, and reload the page.